Tiffany's Online Finds and Deals: 70% OFF 3 pack Compatible Fitbit Alta Bands & Alta Hr & Fitbit Ace Bands! 70% OFF 3 pack Compatible Fitbit Alta Bands & Alta Hr & Fitbit Ace Bands! ONLY $3.60 after code on amazon.com! Works on any of the color combos. Loving all the color options. COMPATIBILITY: Small Size: 5.7-7.2 Inches, Large Size: 5.9-8.2 Inches. 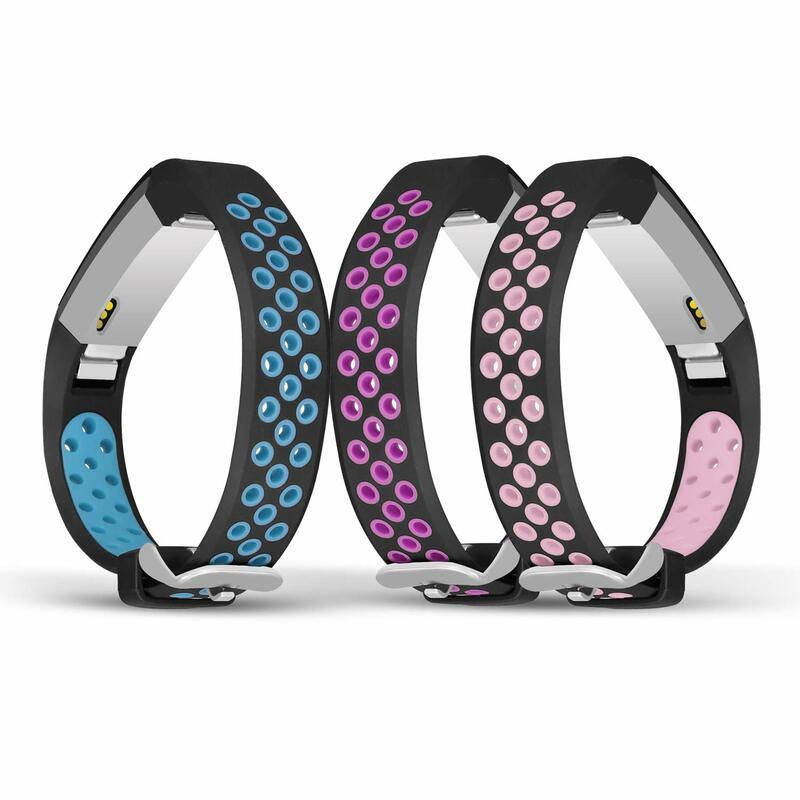 It’s very easy to adjust the length of the band and fit both men’s and women’s wrist well. Fit for Fitbit Alta and Alta Hr / Fitbit Ace only, not for other Fitbit and other brand smart watches. BREATHABILITY: Multiple holes on the sport bands, help to reduce weight, improve ventilation and increase air permeability. They are comfortable even when you are sweating from working out and doing sports. EASY INSTALLATION: The buckle is made from stainless steel, help to adjust the band freely and keep your band safely. Our brand new bracelet with upgraded metal connector, no tools are required, just press and clip on, easy to attach to the smart watch [As shown in figure 6]. SUPERIOR QUALITY: Our Fitbit Alta/ Alta Hr wristbands are made from medical grade silica gel raw material, waterproof and washable. The surface is smooth and soft against your skin, comfortable and flexible for regular wearing. Want something different from steel, fabric and leather bands? Want something perfectly fit for doing sports and casual occasions? ☛ Our wristbands are lightweight, breathable and durable. It is a good style when you go to the gym, outdoors and everyday use. Compatibility: Fit for Fitbit Alta/ Alta Hr / Fitbit Ace only. Note: Fitbit Alta/ Alta Hr / Ace Smart Watch are not included. 1. Innovative and washable, smooth and soft against your skin,comfortable and flexible for regular wearing. 2. Lightweight and breathable, comfortable even when you are sweating from working out and doing sports. 3. Upgraded metal connector is easy to attach to the smart watch,no tools are required, just press and clip on [As shown in figure 6]. 4. Various Colors: We have 6 different colors bands for you to choose. [Black/Gray, Black/Blue, Black/Red, Black/Green, Black/Purple, Black/Pink]. You can always pick the one you like and match your outfit.